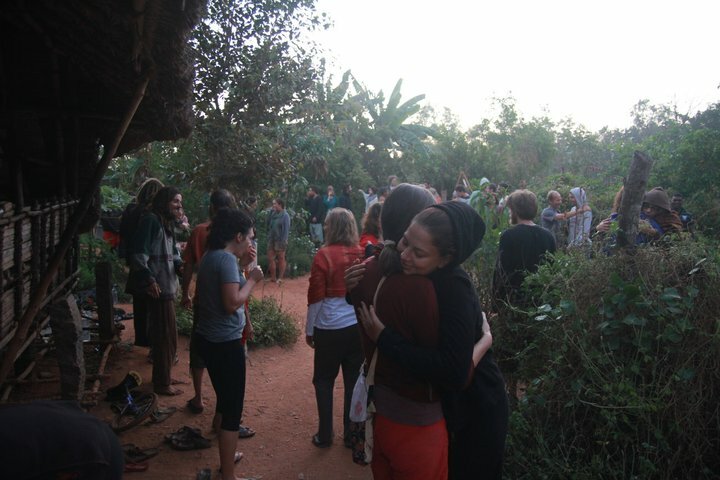 Writing about Sadhana Forest is a bit strange, as the community I experienced for two months technically no longer exists. In this post, I begin to tell the long and complex story of my time there. 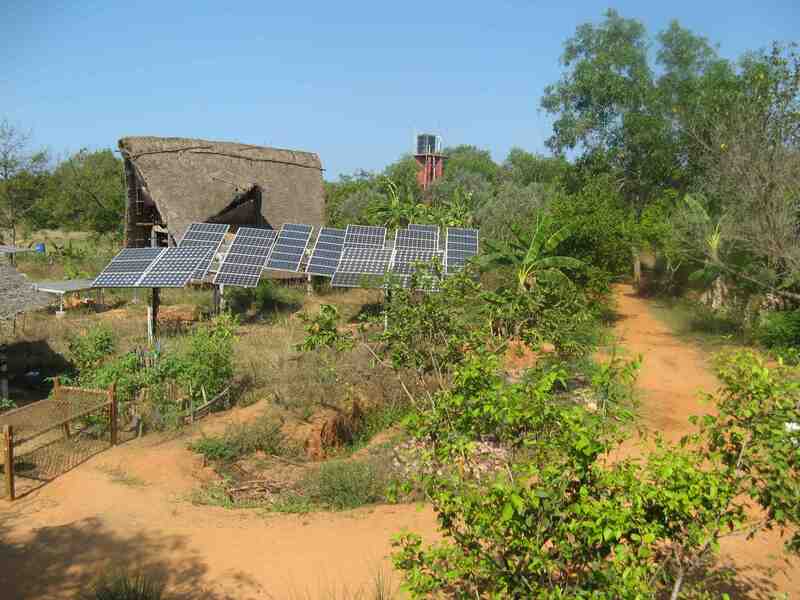 Sadhana is a community composed mainly of short-term international volunteers who are attracted for different reasons to live together in a community originally started as a reforestation project to regenerate the severely endangered Tropical Dry Evergreen forest, an indigenous forest type in southeastern India that has been reduced to less than one percent of its original range. The minimum time commitment to stay in Sadhana is four weeks during the high season, which runs from the beginning of December through the end of March, the most climatically pleasant time to visit this tropical region of India. During this time, the community population fluctuates between 100 and 130, mostly consisting of conscious twenty-somethings seeking a different way of life, though all ages are represented and even traveling families find Sadhana to be an accommodating place to stay. As the population contracts and expands on a daily basis, life in the community is dynamic, with no two days being alike and each intensely long day holding unforeseen adventures and learning. Thus, the Sadhana that I knew and loved no longer exists, as the people and relationships that defined my time there only exist in the memory of those who shared that time together. The community, its infrastructure, and most of the long-term volunteers who comprise the core of the community through time remain, of course, along with new faces who have come from all over the world to have the Sadhana experience. Sadhana is a Hindi word meaning “spiritual path.” It is a self-contained community located within the larger ecovillage of Auroville in India, a spiritually-focused budding township of 2,200 people who are seeking to grow into “the city the world needs” by achieving human unity and higher consciousness. Auroville is a fascinating place, perhaps the first city in the world to emphasize spiritual rather than material development goals. It is altogether too large to discuss in this post, which is focused on my time in Sadhana, but I have a lot to say about Auroville in future posts. I first heard about Sadhana over dinner with a group of friends who were attending a Permaculture Design Course in Melbourne last September. After class, some of us younger folk went out to Veggie Bar, a classy vegetarian bar and restaurant, to indulge our needs for hip and for ethical yum. 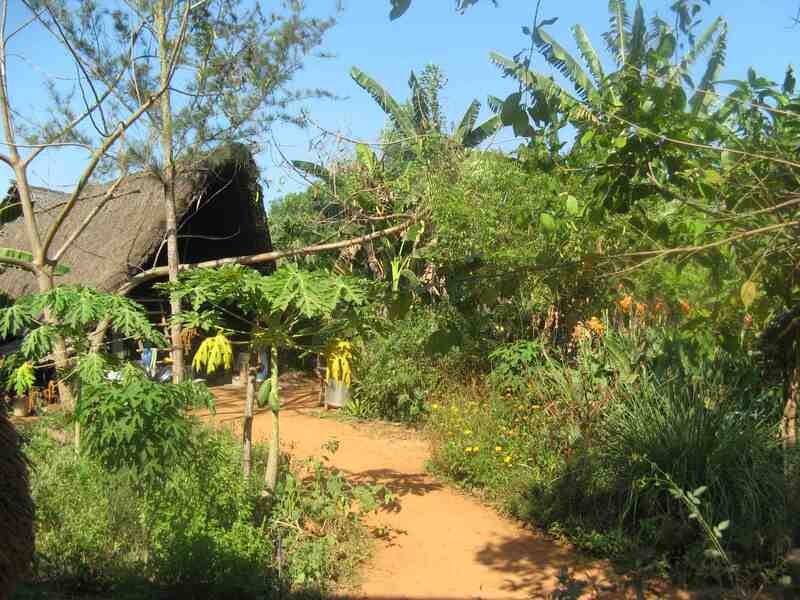 My ecovillage travels came up in conversation. 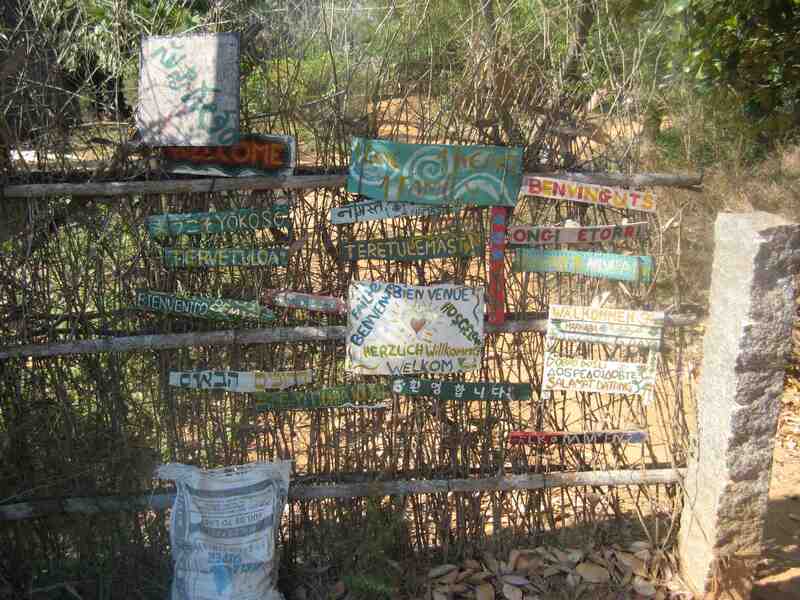 When I mentioned that I would be traveling to Auroville, Andrew from Sydney asked if I would be going to Sadhana Forest. I admitted that I hadn’t heard of it, which prompted him to launch into a spiel about how I had to see this place, which attracted over 100 people our age from the world over interested in living sustainably to cohabitate huts in the forest and work on its regeneration. He had lived there and also helped to launch its sister project in Haiti (where he contracted malaria and had to be flown back to Australia just a few weeks prior); Sadhana was incredibly vibrant and he insisted that I must visit. Seeing as I had no plans for my time in Auroville and heard that the sprawling nature of the place made it difficult to craft a meaningful experience for oneself, I was easily convinced just by his description, to say nothing of his abundant enthusiasm. 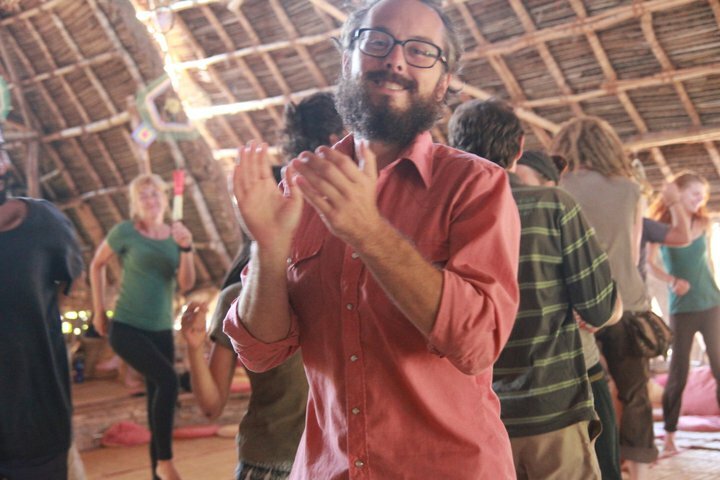 Andrew was a fellow 23-year old whose commitment to sustainability had taken him to far-flung parts of the world for learning and action; I was inspired at the prospect of meeting hundreds of more people like us. His recommendation was another flowing synchronicity that made planning for my travels easy. 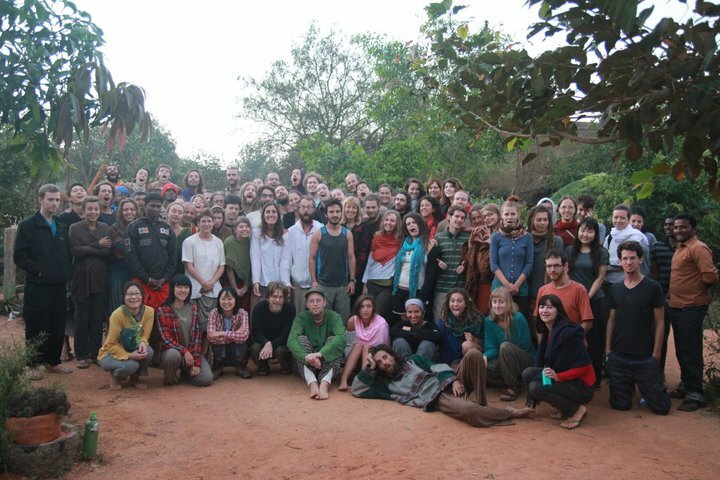 Before seeing Sadhana, however, I would first traverse four ecovillages in Europe, as there was an Ecovillage Design Course in Findhorn ecovillage in Scotland that I wanted to attend immediately after my time in Australia. Fast-forward three months. I am on a plane from Barcelona to Doha, Qatar en route to Chennai, India. I have had transformative experiences at Findhorn, Tamera ecovillage in Portugal, Damanhur and Torri Superiore ecovillages in Italy (read about them here: Ecovillages around the World), and an abundant Spanish Christmas and New Year’s in Barcelona with a friend I had met WWOOFing in Crystal Waters. In Barcelona, I realized that the study of my travels concerns not only modern attempts at communal ecological living, but also human lifestyles through the ages and into the future – I am going to have to study a lot more history. I had an incredible series of realizations based on an experience hiking Montserrat and know that I am a writer and that I am employed only by the Earth to serve the flourishing of life (future posts). I have no idea what India will hold, having only Andrew’s general description of Sadhana in my mind. The mixture of late night attempts to creatively synthesize all that I have experienced and learned, anticipation for what will come next, sleep deprivation, and stale plane air create a hazy nexus of past-present-future as I fly over the oil fields of the Middle East. 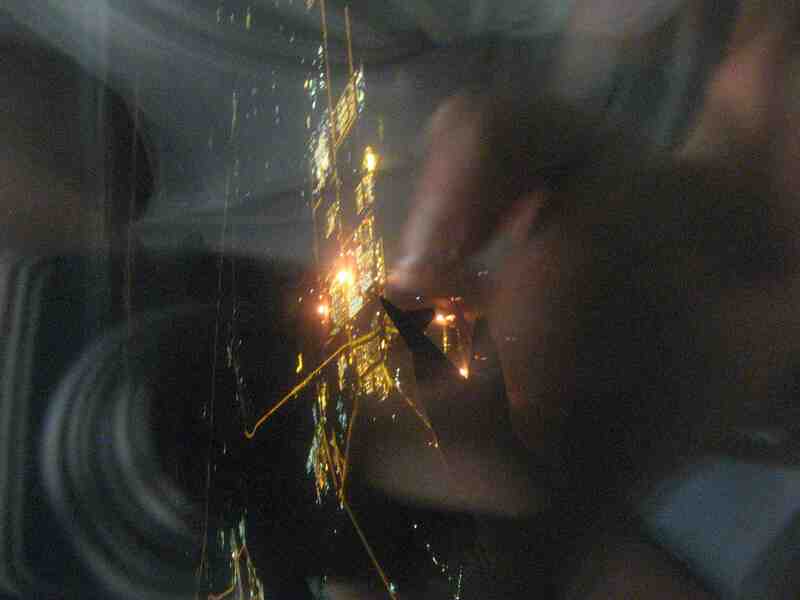 Landing in Chennai, 3:30 a.m., Tuesday January 4th. Disorientation; Indians everywhere. I am one of a handful of white people. Grab my backpack from the conveyor belt, extract some rupees from the ATM, and head outside, greeted by darkness and warm thick humid air. To my relief, I find Arumugam, my taxi driver, among the crowd of drivers waiting, and walk through the traffic of the parking lot (most international flights arrive at this hour). He seems surprised at my attempts at small talk; after a few minutes the language barrier curtails our brief exchange. Pungent exhaust and dust fill my lungs: I’m not in Europe any more. Hop in the tiny cab and roll the windows down: air conditioning is a luxury we do not have. Unaware of the malaria risk of the region but keenly aware of my lack of anti-malarials, I decide to keep my long-sleeve shirt on upon seeing mosquitoes flying around in our car. After watching some of the unremarkable Chennai roll by, Arumugam suggests I try to get some sleep for the 2.5 hour ride. It’s dark and there isn’t much to see, so I take his advice and begin to fade in and out of consciousness. 6:00 a.m. the sky has begun to lighten as we turn off the highway onto a dirt road. More trees start to appear as we wind along the path that I imagine will bring us to our final destination. Eventually we roll to a stop in a roundabout and Arumugam gets out, beckoning for me to do the same. I am fuzzy, jet-lagged, and sleep-deprived, but mechanically hoist my baggage and follow him through the gate. I see the multilingual welcome sign and know that I am in the right place. We walk on a winding path through some vegetation, passing a few people he seems to know and greets. Moments later, we emerge in a clearing where there is a large group of shoeless hippy-looking young people who are all standing in a circle and begin hugging each other. The scene shocks my tired consciousness and I feel completely out of place in long clothes, hiking boots, and with my entire luggage in tow. I am a total outsider and this is obvious in every way; I try to disappear into the background. The feeling arises that I am nowhere near hippy enough to be here. mysterious path I groggily walked down; where had I landed? Nonetheless, I follow Arumugam, my sole link into the community, who instructs me to lay my luggage down in the foyer of a large jungle hut while he begins to look for a character called Jamey. A few moments later, a short guy with thick-framed glasses, long sleeve button-up pink shirt, and white pants appears. He looks vaguely like he’s from the vegan anarchist punk scene in Philadelphia and seems out of place in this environmental and cultural context; however, he is clearly in charge, has people who love him, and seems like a loving caring guy with his gentle yet assertive demeanor. I suspend my disbelief as he takes me on a tour. I find out he is indeed from the Philadelphia/New Jersey region of the United States and is vegan, which creates a connection between us because I went to school outside of Philadelphia and am also vegan. 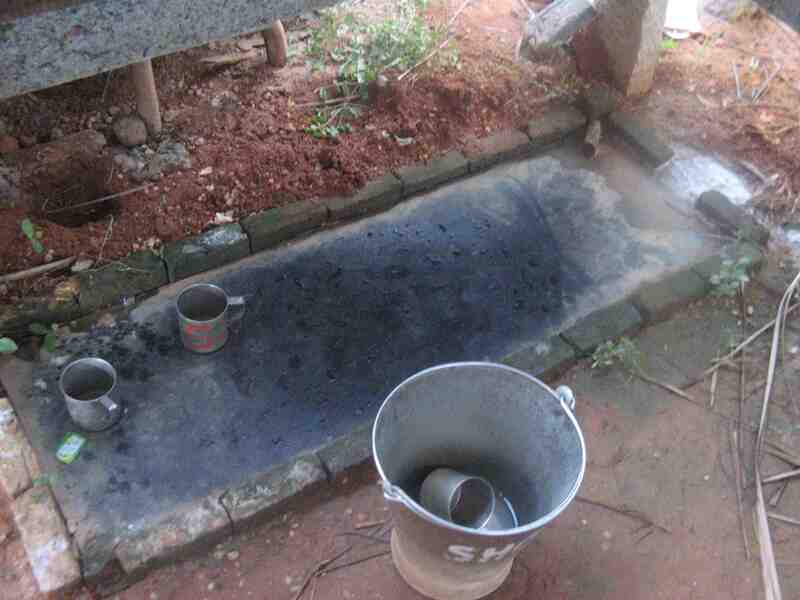 This flash of a comfortable feeling subsides, however, as he shows me the toilet, which is a hole in the ground over which I am supposed to squat, and the washbasin, over which I am supposed to wash my bum with water instead of using toilet paper. I consider myself to be a pretty open guy, but the combination of unfamiliar environment, people, and disorientation from travel make this a bit much to digest. 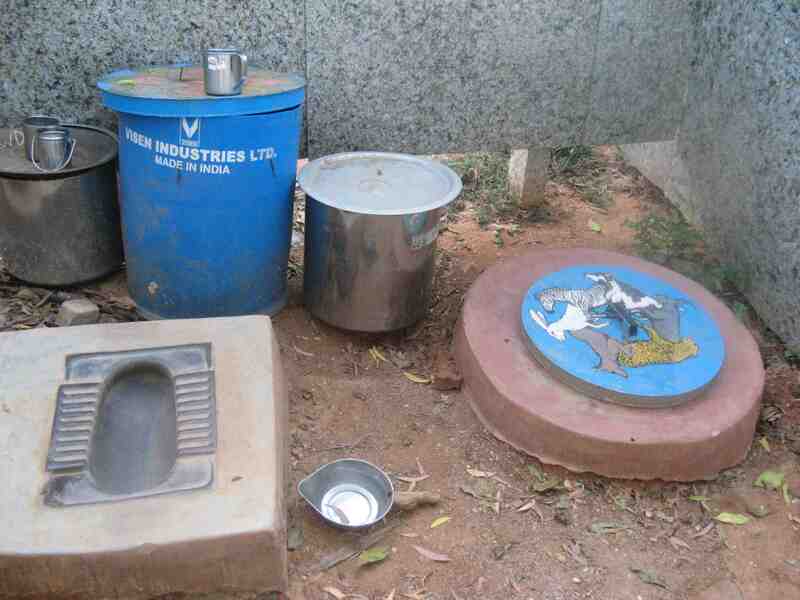 Despite my uncomfortable feeling in the face of all this new information, I follow him to see the showers, which consist of a bucket for fetching your water from the pump and a cup for pouring it over you. This radical simplicity presents itself to me as a challenge that I am curious to face: am I really as dedicated simple living and sustainability as I profess? yes, this is the shower. Usually the water from the well isn't freezing, at least! After the tour, Jamey tells me I can chill out in the main hut until breakfast is served in two hours and leaves me on my own. I find some pillows in the corner and rest, trying to adapt to the newness and foreignness of my surroundings through relaxation. Eventually, I begin to decompress despite some vexation from mosquitoes. After I feel as rested as possible considering the circumstances, I get up and decide to face the challenge of my first shower to rid myself of plane grunge. I felt proud to pump and carry the ¾ full bucket of water that ended up being sufficient for my entire shower; pouring the water my head with the cup was like my baptismal initiation into this radically simple new lifestyle. I emerged feeling refreshed and newly confident about my ability to live in this place, which is so completely different than the Western amenities and pampered European-American lifestyle in which I had been ensconced before. After the shower, I felt much more comfortable being in the place and began to talk to some interesting people; with this, the place opened up to me. Thus began my Sadhana experience. In the spirit of sharing my experience broadly, while at Sadhana I created an “Ecovillages around the World” PowerPoint presentation about my experiences in the first five ecovillages I traveled to: Crystal Waters in Australia, Findhorn in Scotland, Tamera in Portugal, Damanhur in Italy, and Torri Superiore in Italy. Though it is basically a rough first draft attempting to comprehensively document my travels thus far, I wanted to share a copy in order to quench your update thirst. Two test audiences of roughly 50 each eagerly lapped up the first and second manifestations of my presentation, so I hope you enjoy it as well! Get out there! The world outside your country is gigantic and begging to be known. As Mark Twain said, “Travel is fatal to prejudice, bigotry, and narrow-mindedness, and many of our people need it sorely on these accounts. Broad, wholesome, charitable views of men and things cannot be acquired by vegetating in one little corner of the earth all one’s lifetime.” Purposeful travel and intentional exploration are powerful educational experiences – I can attest to this firsthand. You could argue that instead of spending tens or hundreds of thousands of dollars on University education, you would learn more by using significantly less money to travel for a few years and do things you’re passionate about listed on the sites above. I offer you my friendship, personal correspondence, and support in whatever journey you want to undertake. I want to spread the goodness of this Fellowship and my associated experiences and thoughts as broadly and deeply as possible, to make it alive and relevant for many lives besides my own. This blog is the main avenue I have for doing so; I will continue to update it whenever I am able. Send me an email at thequestionofwhy (at) gmail.com and I will reply in full.